Mortgage rates didn't manage the same sort of surge lower as that seen yesterday. In fact, some lenders were unchanged, but on average, rates fell to their lowest levels of the week. Most of the positivity came courtesy of overnight movement in Europe and Asia. 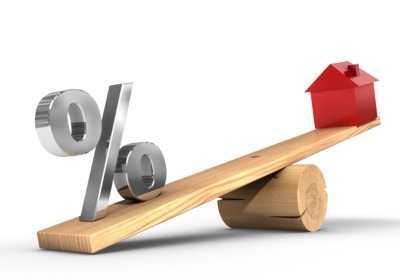 This started the day for rates off on a strong foot and although mid-day weakness prompted many lenders to hike rates a bit, the worst of the adjusted rate sheets were still at least as good as yesterday's. That means the 30yr fixed best-execution rate remains at 4.625%. Most of the improvements were seen in the form of lower borrowing costs. At this point, we're closer to moving down to 4.5% than up to 4.75%. After topping out briefly at 4.875% last Friday, getting back within striking distance of 4.50% is no small relief for those hoping to see moderation in the extended move higher of the past two months. Although it was preceded by the worst week in recent memory, this week has been the best of the year in terms of outright gains. It's a good thing too, because if rates hadn't fallen at least this much, there would be less of a case to be made for a consolidation in the week's ahead. Unfortunately, a return of sub-4.0% rates would require a significant change in economic conditions--enough to change the course of Fed policy. As long as economic metrics continue in roughly the same vein, the best rate-watchers can hope for is a broader consolidation between 4.375% and 4.875%. We stand a chance to be crossing into the lower half of that range now and next week's data and events will likely be the deciding factor. Until we break lower through that range (or until it looks highly likely that we will), it makes most sense to look for advantageous opportunities to lock the closer we are to the lower bound. Keep in mind that "advantageous" isn't necessarily limited to prospects for movement in rates, but also lock time frames. For instance, a borrower who is 29 days away from closing has more reason lock than one who is 31 days away, all things being equal. This has to do with the lower costs involved with shorter term locks. Lenders can offer better pricing for a 30 day lock than for the next most common increment of 45 days (some lenders do 40, but you get the idea). Even then, it's important to keep an eye on what's coming up that could cause volatility. If a jobs report or Fed Announcement is scheduled for the next day, the lock time frame becomes inconsequential by comparison. In reality, any time you wait for the following day's rates, you're taking a risk that they'll be worse than today's--especially in this market.